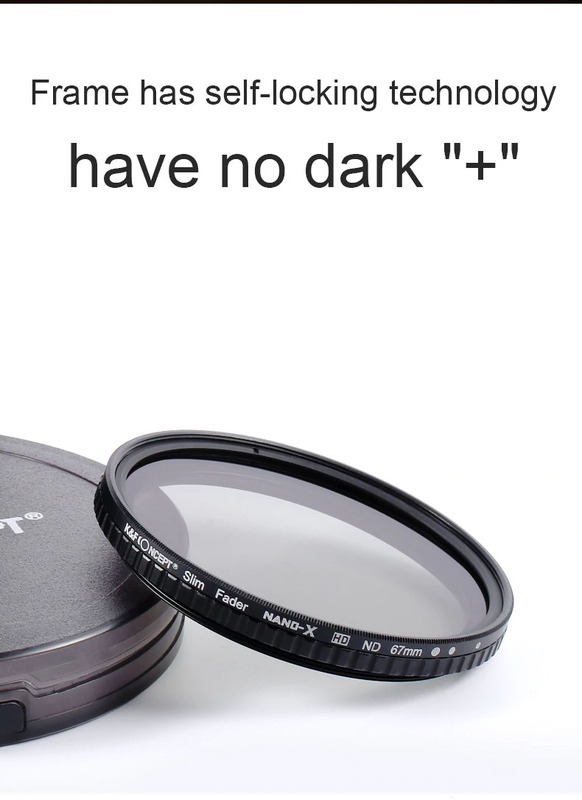 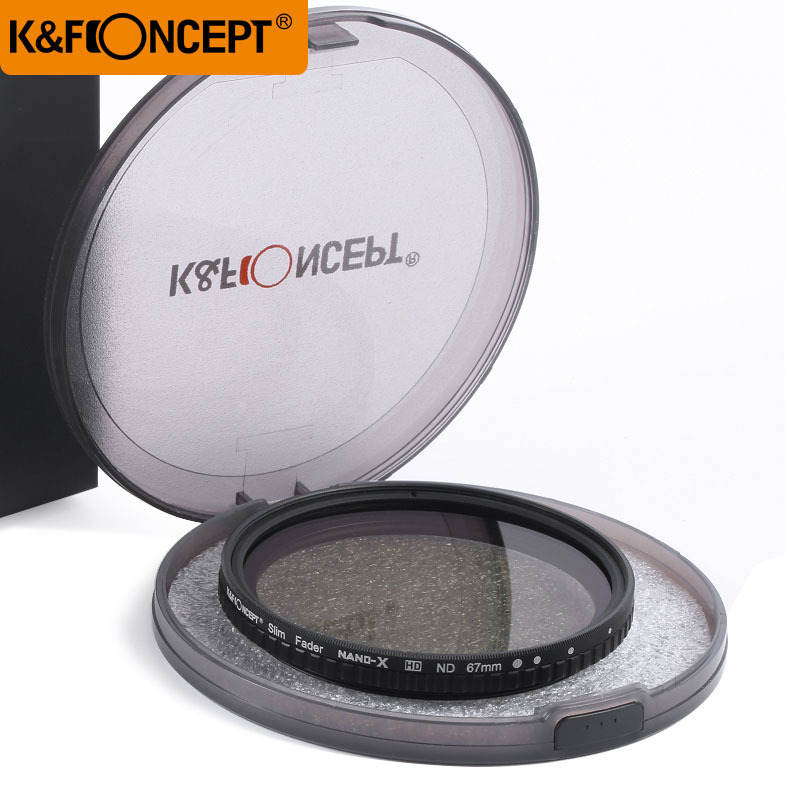 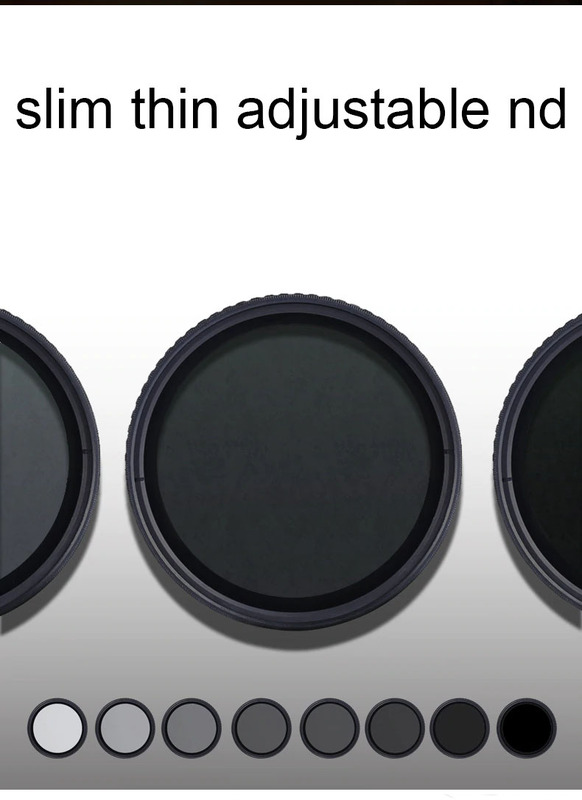 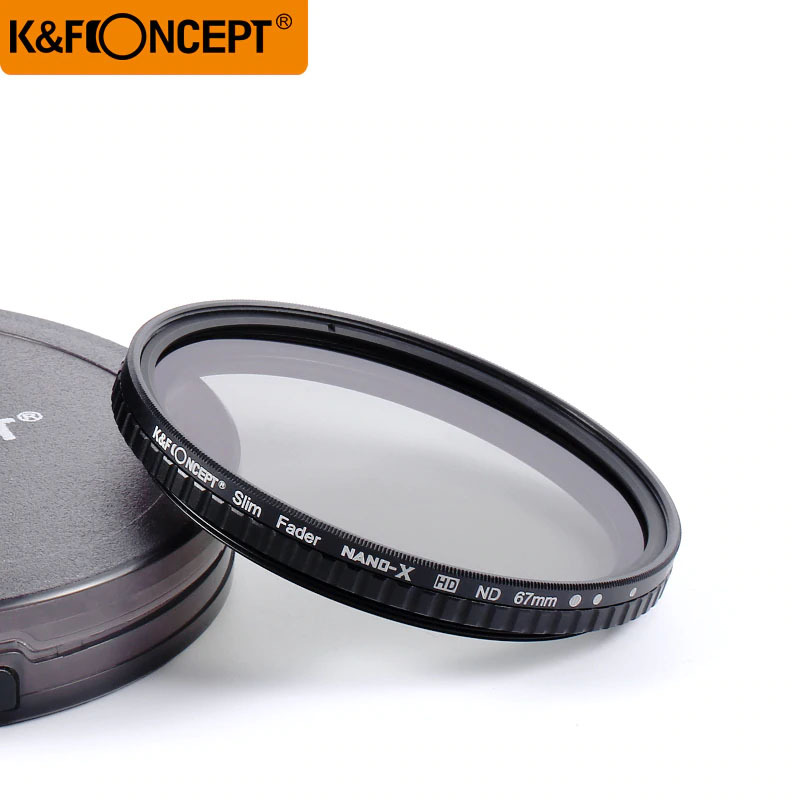 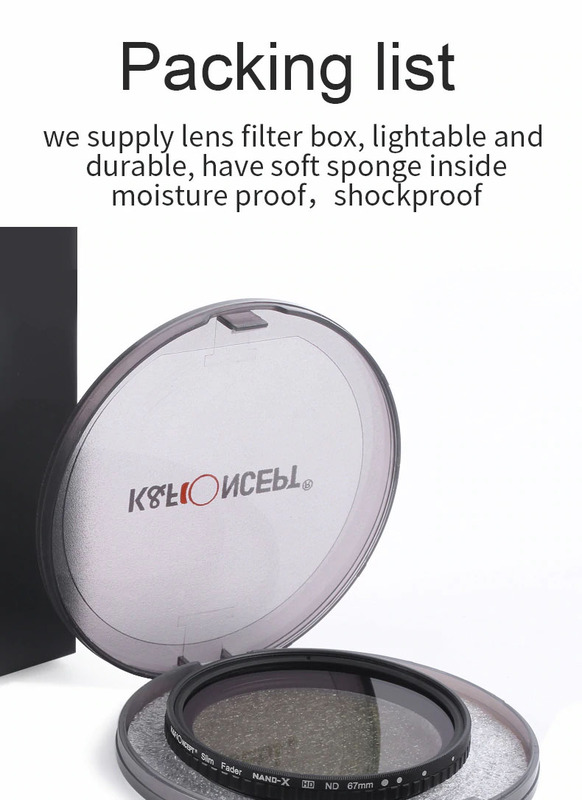 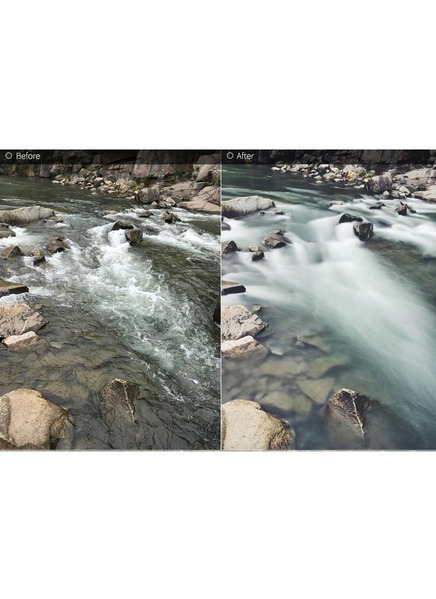 【Material】 ND Filter: Made by Completed Professional Optical Glasses instead of Optical Resin. 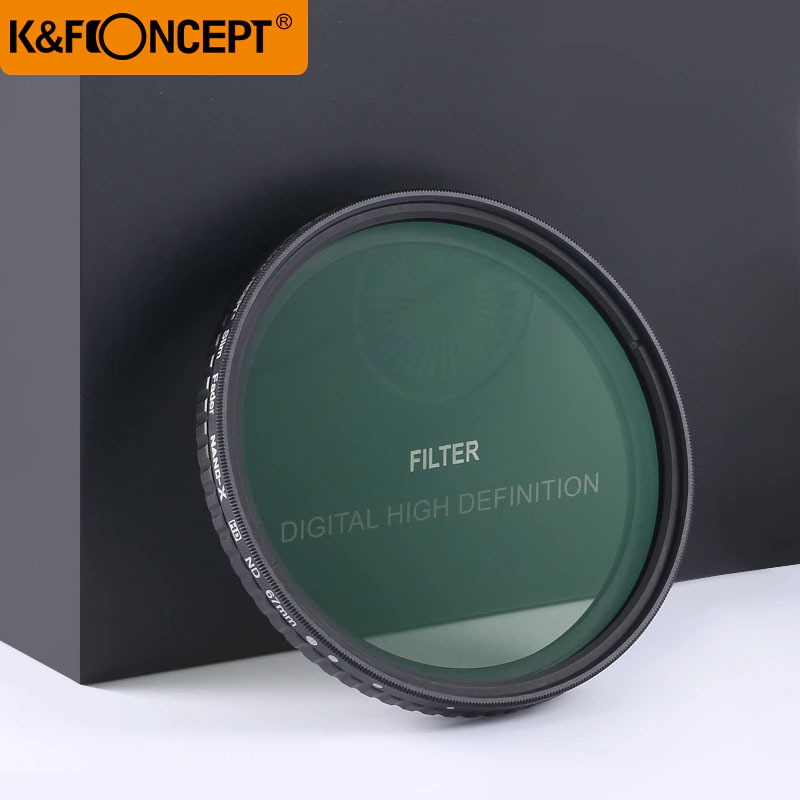 filter reduces the intake of light without affecting the overall color balance. 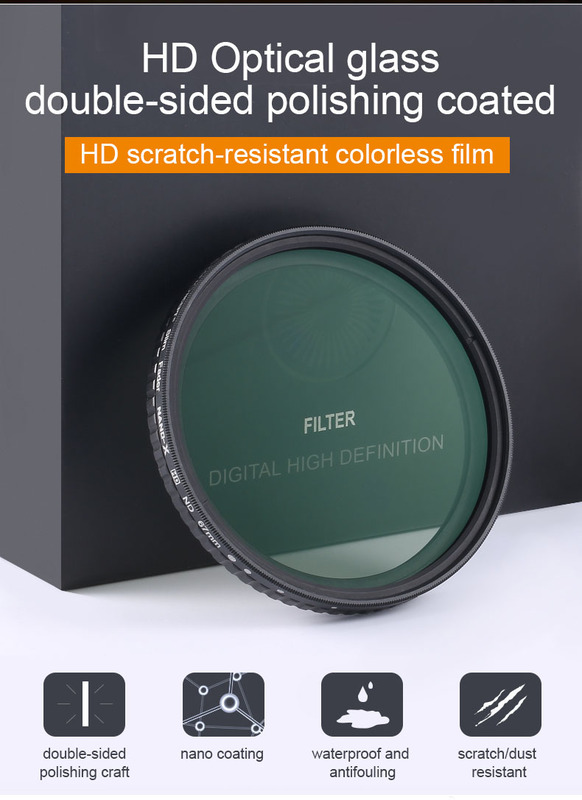 【NANOTEC】our optical engineers developed new nano coating layer technology， Waterproof, scratch-resistant, anti-reflective green coating, effectively prevent from oil, fingerprint, scratch, protect valued lens. 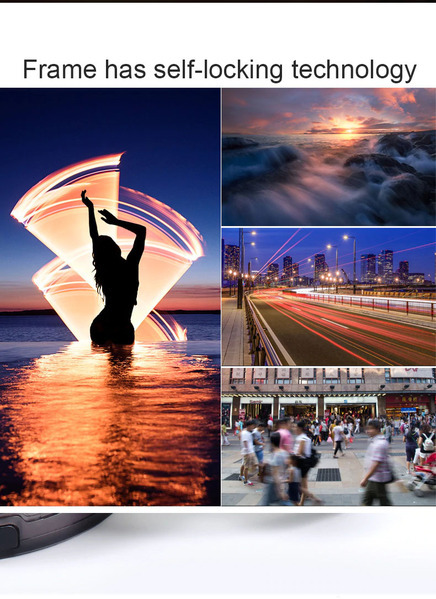 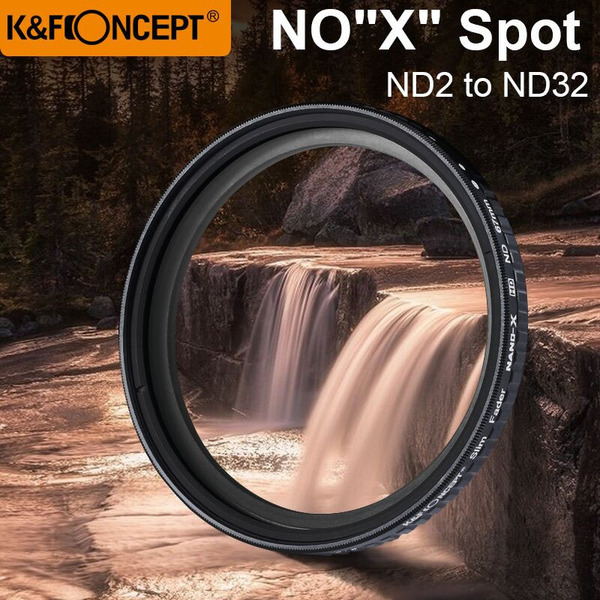 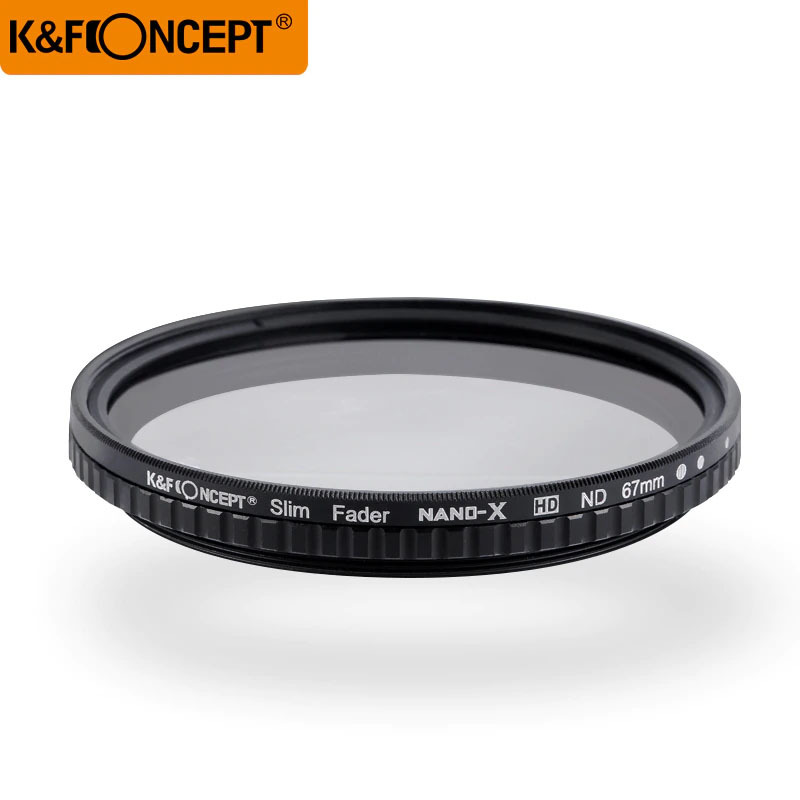 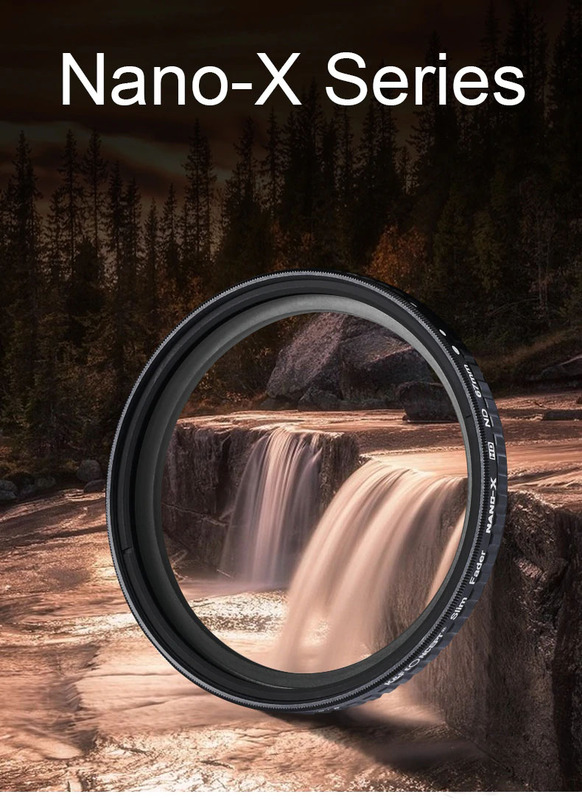 【No “X” cross on images】Say goodbye to the "X" cross on images, K&F utilize cutting edge technology you're going to say goodbye to this common issue with wide angle lenses and variable ND filters. 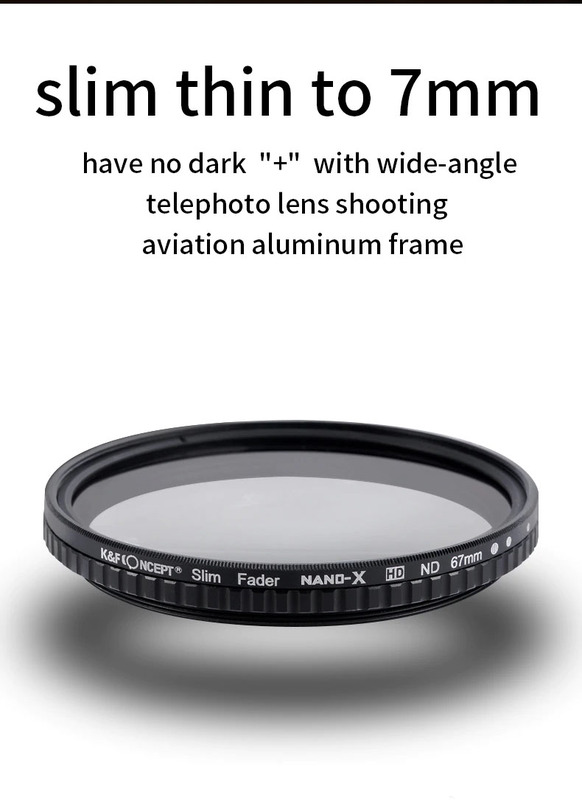 【Professional Design】ultra slim rim design preventing wide angle vignetting. 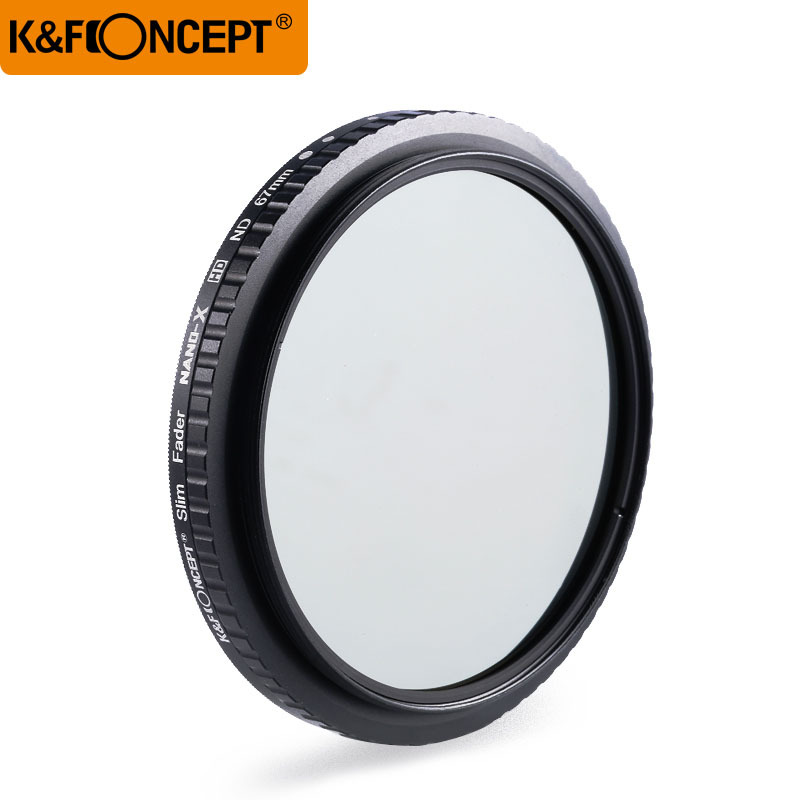 Extra tough aviation aluminum frame ensuring durability and jamming prevention.